Apple's iPhone XS and iPhone XS Max launched last Friday, and shortly after, some customers who purchased one of the new devices started noticing an issue with LTE and Wi-Fi speeds and connectivity. I'm in South Carolina on VZW. My iPhone X consistently holds 3 or 4 bars of LTE in my home with solid speeds. Users are noticing fewer bars and poorer signal on iPhone XS and XS Max compared to devices like the iPhone 8 and iPhone X, especially in areas where signal is weak. Many of the complaints come from Verizon users, suggesting the issue could potentially be carrier specific. Multiple AT&T users, for example, have said the signal is the same or better, while Verizon users are seeing signal issues. That seems to be the thinking in the other forum thread linked below. People who went from Qualcomm to Intel may see worsening in fringe areas while those who went from Intel to Intel may see an improvement. Both groups can see faster LTE signal due to carrier aggregation and 4 MIMO implemented in XS and XS Max. Some AT&T and T-Mobile users are, however, complaining of connectivity problems too, while others have noticed better signal, leading to a confusing mix of user reports. 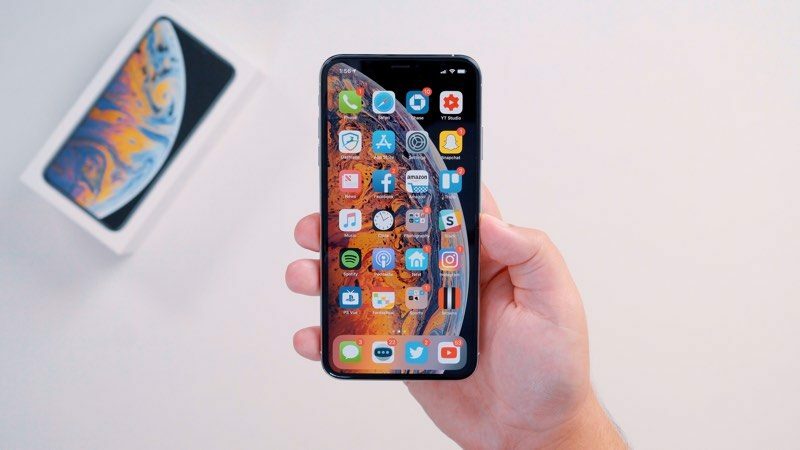 It's not clear if modem differences are causing the perceived connectivity issues that iPhone XS and XS Max owners are noticing or if there is a genuine bug with the new devices, but in the days following a new iPhone release, there are often carrier updates that can solve connectivity problems. Given the confusing mix of information coming from users on the forums, the LTE connectivity problems may be related to software and could be fixed through the aforementioned carrier update or a software update from Apple, but we'll have to wait for more information to figure out exactly what's going on. In addition to the LTE problems, there appears to be a separate issue with Wi-Fi. On the MacRumors forums, users began noticing slower Wi-Fi speeds on iPhone XS models compared to other Apple devices, which readers quickly deduced was a 2.4GHz vs. 5GHz Wi-Fi issue. I'm having the same problems. On my x it will hold the 5ghz connection compared to the XS max which likes to hold on to the 2.4ghz connection. I'm using google WIFI. All my nodes are connected wired. I know it's not my wifi and it's related to the xs max. It seems as if it prefers the stronger signal over throughput. My x performs better. I can check through the google wifi app and it takes forever for the xs max to pick the 5ghz connection. The majority of people experiencing slower speeds found that their iPhone XS models were indeed connected to the 2.4GHz network rather than the 5GHz network. In our own testing, we found that when comparing an iPhone XS Max and an iPhone X, the iPhone XS Max connected to the 2.4GHz network while the iPhone X connected to the 5GHz network. With routers that do not have separate SSIDs for the two bands, it can be difficult to tell which you're connected to, leading to perceived slower connection speeds. This is clearly a bug that needs to be addressed by Apple through an update to make the iPhone XS models prefer the faster 5GHz network to the 2.4GHz network, but in the meantime, providing separate SSIDs for the 2.4 and 5GHz bands can allow you to make sure your iPhone is connected to the 5GHz band at all times. Some users have also had luck with resetting their network settings and/or forgetting their Wi-Fi network and reconnecting, but the iPhone XS models appear to default back to 2.4GHz often if not made to connect to the 5GHz network. This connection issue appears to be at the root of most of the slow Wi-Fi complaints, but there have been a few other complaints of poor connection speeds when connected to a 5GHz network, so it's possible there's also something else going on. We've contacted Apple to ask about both the Wi-Fi and LTE issues that customers are experiencing with the iPhone XS models and will let MacRumors readers know if we hear back. Yea Wi-Fi should be consistent on upcoming 2019 2k base models, thanks for beta testing, stay strong. It's the antenna, not the modem. FCC already shown that in their tests. WiWavelength posted the first article on the 12th prior to release of the new phones, and no one paid attention. The second is his followup. Without a doubt, Apple will blame the carriers and ignore us. Its nothing to do with the modem chips.. There are hardware antenna issues, and software issues too. More than 1500 bucks for a phone with ***** connectivitie? Thanks, but I will stick to my SE. Early adopters complain of bugs in newly released products? Color me shocked. Several readers in a forum report a problem and that is evidence for a story? I get that you said it was the source.....but that is the source? Not just this forum. The Apple forums contain many complaints, as do other forums. And that's not all. There are several detailed articles concerning these iPhones RF Performance, especially in comparison with past iPhones. You could say this issue was predicted ten days ago. It's now coming to fruition. These articles, in combination with hundreds, if not thousands, of complaints, unquestionably justifies a front-page article. Doubly important given the short return window -- people need to be informed, and fast. Your "this is journalism?" critique is incorrect. Turn the brightness down or maybe background refresh for all but your most used apps. Maybe set some apps to turn on GPS while using instead of always. If you’ve done all of this already then maybe something is wrong or the battery life just isn’t that great. Never a good sign that you have to turn loads of stuff down / off on a brand new phone lol. Getting better reception on my Xs Max. No issues for me. Ironically mine is better than the X! Wifi works in place that was always dead for me, but better still - there's no celluar signal at home but when I left, though the X would show full 4G but never work until I put it in Airplane mode for a while and then let it "search" for the network again. So far the Xs has been flawless it gets the 4G network earlier and it works straight away - I always assumed it was the network around here that was poor as other people have problems, but maybe the X was actually faulty. I don't know, but i'm chuffed with the Xs so far! Before you buy an Xs or XsMax, better read about the Antennagate ReduXS ('https://www.wiwavelength.com/2018/09/antennagate-reduxs-if-so-what-can-apple.html'). iPhone 7, still a great phone. Half to a third of the price of the current Xs/Max -- and with quality radios. Sticking with my Qualcomm variant until iPhone XI.